The Linnean system of taxonomy is based on hierarchically internested sets of ranks. Common membership in a group indicated by a particular taxonomic name is shown by common usage of that name for the members of the group—therefore, all mammals are included in Mammalia. Although this may seem trivial, the result is that the taxonomy communicates a hypothesis about common group membership and, in an evolutionary context, common descent. The result is that Linnean taxonomic names can and often do provide an indication of the pattern of relationships thought to underlie the taxonomy. 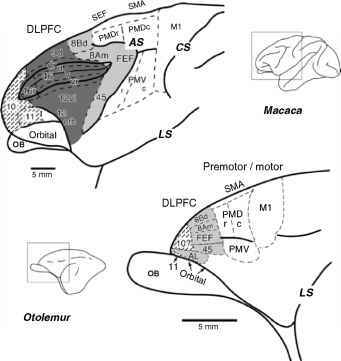 Therefore, when a cladist, such as M. C. McKenna (see McKenna and Bell, 1997, and below), includes a particular cluster of forms in Primates, the implication is that these are a monophyletic group or clade (Hennig, 1966) that shares a most recent common ancestor not shared by other forms. In an evolutionary context, a Linnean approach to taxonomy allows, or even requires, some kind of hypothesis about how animals are related, and uses ranks to indicate how these relationships are internested. This element of the system creates some problems when it comes to a strict cladistic approach. The first is the multiplication of names necessary if all, or even a significant proportion, of nodes from a hypothesis of relationships are to be named. McKenna and Bell (1997), for example, needed to employ numerous unfamiliar ranks (e.g., infralegion, magnorder, mirorder, etc.) between the traditional ranks to accommodate all the groupings that they wished to recognize. Second, any change in the pattern of inferred relationships requires a cascade of changes in the taxonomic designations of not only the taxon in question, but of all taxa surrounding it on the phylogenetic tree. This is necessary to fit the taxonomy to the available ranks, and in some cases to accommodate the required (i.e., by the International Code of Zoological Nomenclature) endings to rank designations for any taxon reclassified at or below the family level. For example, if workers wish to name a node that sits between available ranks, shifting of taxa up- and downstream to fit the taxonomy to the tree is required. If this necessitates changing a previously recognized family into a subfamily, the ending of the group name must change to indicate this (i.e., from "idae" to "inae"). (diagnoses) to indicate membership. This approach has been labeled "essential-ist" and "Aristotelian" (De Queiroz, 1994; De Queiroz and Gauthier, 1990), and has been criticized based on the impossibility of defining taxa using lists of characters if they are to be considered individuals in a strict philosophical sense (Ghiselin, 1984). The basis for this view is that characters are mutable, and that some nonmutable aspects of a taxon should be pointed to if they are going to be properly defined. Rowe (1987) indicated that a nonmutable aspect of any evolutionary group is the most recent common ancestor from which it evolved, and that the definition of a taxon should be based on delineating the group arising from a particular common ancestor rather than a list of diagnosing characters. Although in cladistically applied Linnean taxonomy groups are generally monophyletic (that is, they share a common ancestor not shared by other forms—this corresponds to the usage of the term "holophyletic" by some workers, e.g., Szalay et al., 1987), the definition or diagnosis of this group does not aim to specifically indicate that common ancestor. In the Linnean system there is nothing inherent in the way in which names are applied, therefore, to prevent the usage of paraphyletic groupings, since it is not mandated that common ancestry be demonstrated for a group to be recognized. Fourth, the lack of consistent use of taxonomic ranks can lead to problems when data is analyzed at any level higher than the species. For example, De Queiroz and Gauthier (1994) enumerate several instances of nonsensical results that have come from workers tallying data across the family level without accounting for the fact that families can be very different in their composition. Finally, the binominal system implies that the name of a species (the fundamental unit of evolution) is dependent on a hypothesis of relationships, indicated by membership in a particular genus, which may change. Combining a rank designation (genus) with a fundamental biological entity (species) is considered inappropriate by some because of the potential instability that it causes at the most basic level of taxonomy (Cantino et al., 1999; De Queiroz and Gauthier, 1992).